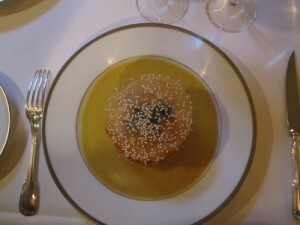 Adam Goldberg, the trusted source behind the blog "A Life Worth Eating", claims to have dined twenty and more times at Ambroisie, Bernard Pacaud’s splendid palace restaurant sitting on the southwestern corner of Place des Vosges. Goldberg’s judgement, built on such a broad experience, is as clear cut as can be. 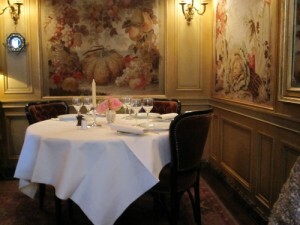 He calls Ambroisie "the finest French restaurant in the world" and "a place where magic happens". And you know what? We couldn’t agree more. Only a few days ago, we had dinner there (it was, unfortunately, only our fifth time), and like Goldberg we were wrapped in the magic right away. I guess it already begins while walking there, crossing the fabulous Place des Vosges, listening to your own footsteps under the century-old arcades where Louis XVI once logded. When you finally step into the restaurant it feels like coming home – coming home to your dreams of Paris and to a dining room that like no other matches the beauty and the style of this city as a whole. 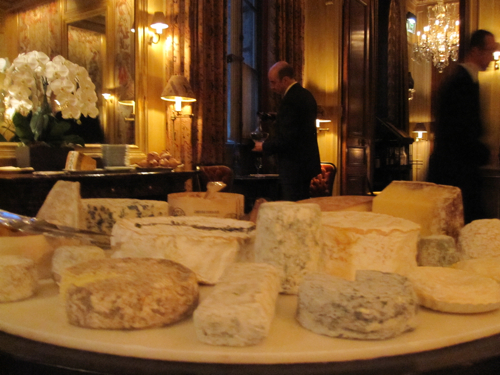 Ambroisie is about what the French would call le grand jeu and what leftists would call a temple of bourgeois decadence. I would say, it is about perfection and skills, about defining a classic way of haute cuisine, it is about a culinary no-nonsense approach. At Pacaud’s restaurant a dish is a dish is a dish, it is not deconstructed, not split onto five plates, it’s not post-modern, not a plaything, it is not about espuma – it is just the highest professionalism in a traditional sense applied to the best food products the world has to offer. Needless to say that the service is perfect, the furniture exquisite, the lighting as it should be. Ambience makes an important part of great dining experiences but in the end only the menu tells the real story. 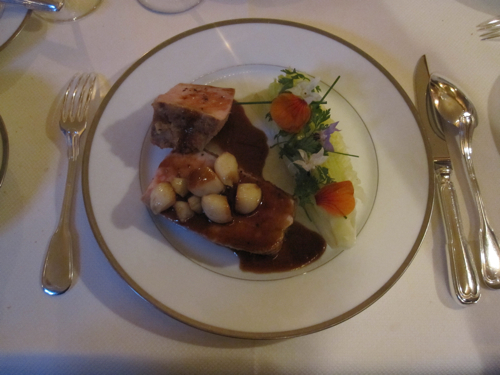 At Ambroisie, it’s an old story, retold over and over again: "Feuillantine de langoustines aux graines de sésame", "Lobe de foie gras de canard Landais en croûte de poivre gris", "Navarin de homard", "Duo d’agneau de Lozère", and whether you speak French or not, you might still get the sense of these titles: they’re talking about God sent ingredients built into the most elegant, delicate, refined food. Bernard Pacaud, the man behind this marvel, is an anti-star. Although he has successfully defended three Michelin-stars since 1986 which alone makes an amazing record, he is not a famous cook like so many others today. He never appears on TV, he would rather die, I guess, than join the jury of one of today’s fashionable cooking shows. This man really goes to work in his kitchen, day after day, he is a hard, persistent worker, a grand master in the old sense, when craftsmanship was considered the source of art. 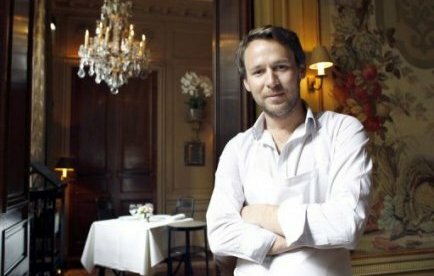 In 2012, Pacauds son Mathieu took over the restaurant. That doesn't mean that Bernard has retired. He's still present, still keeping an eye on the kitchen, making sure that everything remains as perfect as it used to be during decades when he was in charge. Mathieu, meanwhile, has shown that he has more the profile of the other chefs who do not longer limit themselves. In 2014 he opened Hexagone in the fancy 16th arrondissement. Only billionaires could come here just for fun and often. At menu prices of roughly 360 Euros per person, we others have to consider a visit very carefully. I’d say: you have to be ready to have dinner at Ambroisie. You have to be open for a once-in-a-lifetime experience and then – you need to be relaxed enough to just enjoy it. But if all elements fall into place, there’ll be a good chance that you look back one day, saying: this was it. 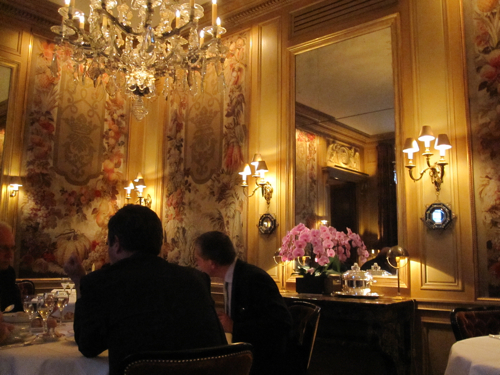 The best French restaurant in the world – and I have eaten there.